The worldwide market for ovarian disease is growing at a substantial rate, due to the rising cases of different types of ovarian cases across the globe. The development of the healthcare sector and the rising focus on research and development activities are projected to contribute substantially towards the development of the market in the next few years. The rising level of competition among the leading players and the presence of a strong drug pipeline are projected to accelerate the growth of the global ovarian disease market in the near future. The leading players in the global ovarian disease market are expected to focus on the introduction of new therapeutics and drugs, which is likely to contribute towards the overall growth of the market. In addition to this, the rising awareness among patients regarding the different types of ovarian diseases and the treatments available for it is another major factor expected to accelerate the growth of the market in the near future. Several advancements in technology and the robust development of the healthcare sector are predicted to encourage the development of the overall market in the next few years. Governments, across the globe, are playing an important role in creating an awareness among consumers. The rising number of initiatives to offer healthcare facilities at an affordable rate is projected to supplement the market’s growth in the near future. The increasing popularity of medical tourism in emerging economies is estimated to generate promising growth opportunities for the leading players operating in the ovarian disease market across the globe. The global market for ovarian disease is expected to grow at a healthy pace, owing to the rising prevalence of different types of ovarian diseases across the globe. The rising research and development activities and the high number of drugs in clinical trials are some of the primary aspects projected to encourage the growth of the market in the forecast period. As per the research study, the market is likely to register a progressive growth rate in the next few years. 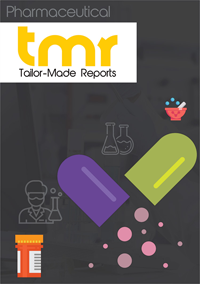 The research study provides a complete overview of the global ovarian disease market and throws light on the major factors that are estimated to accelerate the growth of the market in the near future. The rising cases of diabetes, high blood pressure, genetic disorders, and thyroid disorders are boosting the risk of ovarian disease across the globe. This factor is projected to encourage the growth of the global market throughout the forecast period. In addition, the increasing number of obesity cases and unhealthy eating habits are some of the factors likely to supplement the growth of the market in the coming years. On the other hand, the lack of awareness among patients regarding the availability of effective drugs and therapeutics is projected to restrict the growth of the global ovarian disease market in the coming years. Nevertheless, the increasing number of initiatives by leading players and governments to create an awareness among patients and the increasing population of working women, along with hectic lifestyle are expected to offer promising opportunities in the coming years. Among the key geographical segments, Europe and North America are expected to lead the global ovarian disease market and collectively account for a key share of the market in the forecast period. The rising prevalence of ovarian diseases in these two regions is one of the important factors estimated to encourage the growth of the market in the coming years. In addition, the easy availability of sponsorships and funds and the presence of advanced healthcare infrastructure are some of the other factors anticipated to accelerate the growth of the global ovarian disease market in the near future. On the other hand, Asia Pacific and the Rest of the World segments are considered as untapped markets, owing to which these regions are estimated to witness significant growth throughout the forecast period. The development of the healthcare facilities is expected to supplement the growth of the market in these regions. Some of the leading players operating in the ovarian disease market across the globe are Sanofi S.A., Merck & Co., Inc., Bayer AG, Eli Lilly and Company, Actavis plc, GlaxoSmithKline plc, and Pfizer, Inc. The growing focus of these players on creating an awareness regarding ovarian disease and the increasing number of new and effective products are projected to contribute extensively towards the growth of the overall market in the coming years. In addition, the increasing investments for research and development activities are anticipated to generate promising opportunities for key players in the global ovarian disease market.